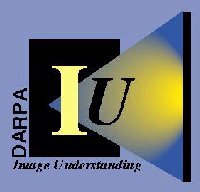 The Defense Advanced Research Projects Agency (DARPA) Information Systems Office is funding research into Video Surveillance and Monitoring (VSAM) technology under BAA 96-14, Image Understanding for Battlefield Awareness. The objective of the VSAM project is to develop automated video understanding technology for use in future urban and battlefield surveillance and monitoring applications, where human visual monitoring is too costly, too dangerous, or otherwise impractical. Sample applications include building and parking lot security, monitoring restricted access areas in warehouses and airports, scanning urban battlezones for sniper activity, and performing reconnaissance on the battlefield. Technology advances developed under this project will enable one human operator at a remote host workstation to supervise a network of VSAM platforms (stationary, moving on the ground, or airborne), having multiple, steerable sensors operating in the visible and infrared bands for continuous day/night operations. The platforms will be mainly autonomous, notifying the operator only of salient information as it occurs, and engaging the operator minimally to alter platform operations. In addition to advanced video/image processing and compression techniques, a great deal of collateral data and contextual knowledge will be incorporated into the VSAM system so that it can reliably perform its assigned tasks. Under BAA 96-14, one Integrated Feasibility Demonstration (IFD) contract was awarded to a team composed of Carnegie Mellon University and the David Sarnoff Research Center. The IFD team's goal is to build a working, end-to-end VSAM testbed system, to work with the defense community to identify relevant application scenarios, to design and conduct a set of technology demonstrations built around these applications, and to provide overall coordination of the VSAM research community. Ten Focused Research Efforts (FREs) were also awarded to university and industry contractors, for the purpose of stimulating IU research likely to lead to revolutionary advances in VSAM capabilities. The awarded contracts represent a wide variety of research interests, ranging from recognition of human activities, to vehicle tracking and counting, to geometric methods for graphical view transfer.